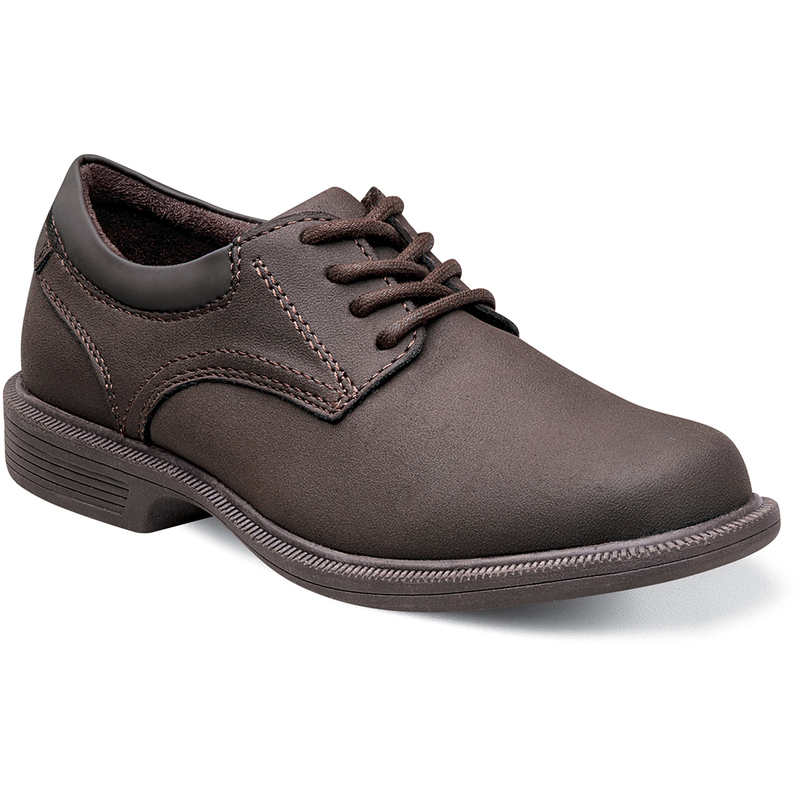 Kids Shoes | Brown Suede Plain Toe Lace Up | Nunn Bush Baker Street Jr. The Baker St. Jr. is a plain toe lace-up. This shoe has a smooth man-made upper. Our KORE dual density outsole is biomechanically designed for walking. The midsole is created from a lightweight walkable EVA and provides athletic inspired comfort and shock absorption. The outsole is created from a slip-resistant rubber compound that adds traction and durability. Combined with an aggressive rolling impact zone of the heel, these shoes are made for walking.